Listed: What’s a To-Do REALLY Say? What do lists say about the maker? A new exhibit explores that question. Hey, even artists need to make to-do lists sometimes. Not to mention lists for paintings sold, stuff to pack and even tax deductions. Kinda makes the whole creative process seem a little more realistic, huh? A new exhibit at the National Portrait Gallery seeks to illustrate the artist's mind, called "Lists: To-dos, Illustrated Inventories, Collected Thoughts and Other Artists' Enumerations" from the Archives of American Art. The lists range from the type-written to the colorfully graphical, from the poetic -- The Bohemian Dinner -- to the poignant, like a to-do list left forever uncompleted do to the author's unexpected death. William E.L. Bunn's "grief list", written in 1938, chronicles everything he has left to do on a mural for Works Progress Administration. He finished the mural the following year. 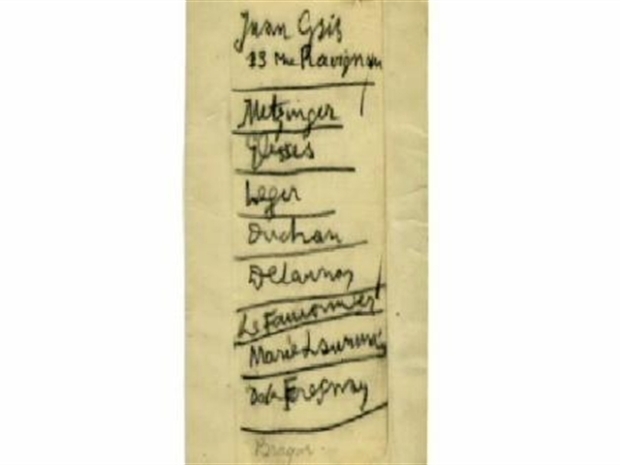 Pablo Picasso scrawled a list of his favorite European artists, while Oscar Bluemner made an illustrated list of his paintings... yep, tiny, thumbnail-sized drawings of his paintings. How meta! Smithsonian Curator of Manuscripts Liza Kirwin runs down the top 10 lists at the Lists Exhibit at the National Portrait Gallery. 10. Eero Saarinen, the Finnish-American architect who designed the main terminal of Dulles International Airport, created an extensive to-do list a week before being diagnosed with a brain tumor. And just 16 days after he made the list, he was dead, leaving many items forever un-done. 9. Benson Bond Moore made a study of "duck attitudes" (yes, really) with a series of thumbnails. He often drew the ducks at the Smithsonian National Zoo. 8. William E.L. Bunn's "grief list" (mentioned above). 7. Arturo Rodriguez's illustrated list of paintbrushes. 6. Picasso's list of artists (mentioned above). 5. 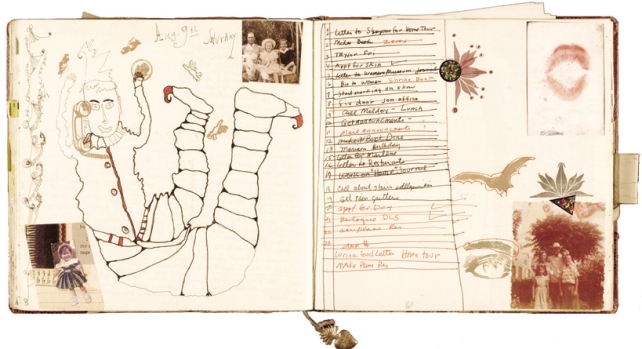 Philip Evergood's "infinite" vertical list -- when he filled one piece of paper, he'd just attach another to the bottom. 4. The Balitmore Sun's H.L. Mencken funny list of autobiographical facts. 3. Janice Lowry's beautiful illustrated journals, decorated with photographs and drawings, and filled with lists. 2. Oscar Bluemner's list of paintings (mentioned above). 1. 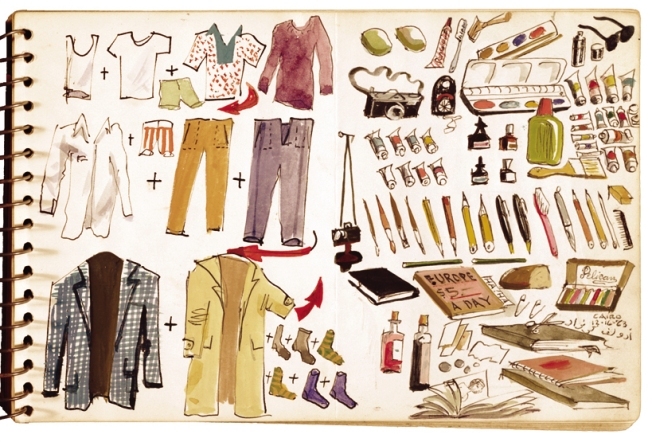 Adolf Konrad's graphical packing list, which includes drawings of everything he needed to pack for a trip, right down to safety pins, tubes of paint and a copy of "Europe on $5 a Day." The exhibit will be at the National Portrait Gallery through Sept. 27.